Over the last couple of weeks we've been building experience and skills in the mountains. 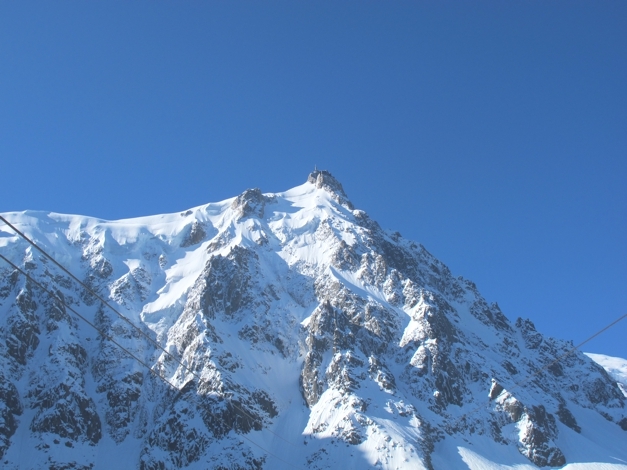 Starting with the Chamonix Mountain Festival a fantastic meet for climbers and mountaineers of all levels, hosted between 1st - 8th June at the UCPA (YHA equivalent) in Chamonix. For €350 we had all our food, accommodation, lift passes and evening talks/films included in the price. It was a great opportunity to meet other climbers, with 18 nationalities taking part we enjoyed meeting and climbing with people from around the globe. We have climbed strategically the last few weeks to ensure we built on our confidence and it has worked a treat. Our first climb was the Via Corda Alpina essentially a scramble with 6 sections, it had 600 metres of ascent and one of the main benefits was that didn't see another person during the entire climb, making it feel off the beaten track. The weather in Chamonix had been pretty bad for days so we headed to Italy through the 'magic' Mont Blanc Tunnel - on the Italian side we had blue skies, sunshine and stunning rolling green hills. We climbed the Boucce D'Arancia in Machaby a 5C graded route, 9 pitches with 280m of ascent. The route was highly popular so some big queues at belays but the views were breathtaking and the weather was fine so we didn't mind. 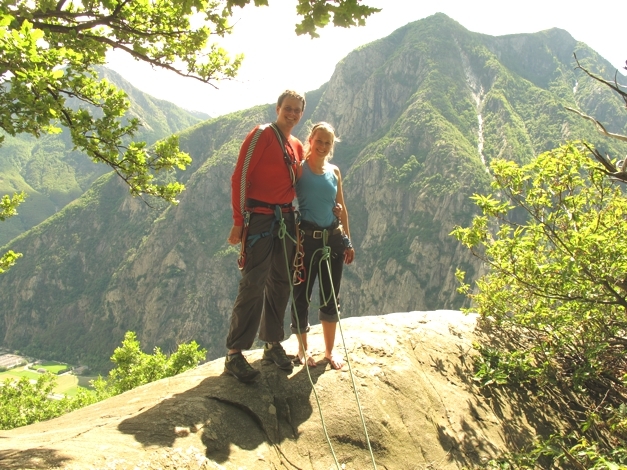 Summer Alpinism in Italy, only the other side of Mont Blanc! 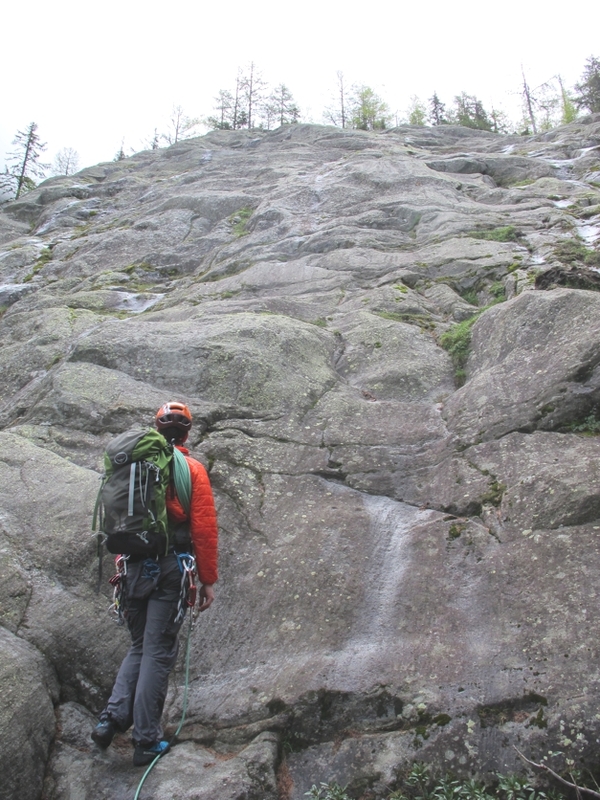 Time to up our game and tackle Le Traverse De Pointe Lachenal. Leaving straight after breakfast, we took the second lift at 8:30am up to the Midi Station. The weather was incredible, and the first time I had seen the mountains above 3ooo metres this year. Wow. Life is so simple and beautiful up there, as we geared up and walked off the arete the mountains were there showing off to us in all their glory. We crossed the Col du Midi in warm weather and could feel the altitude as we were not yet acclimatised. We climbed the first ridge, abseiled down, traversed and headed up to the main pitch and the second part of the climb. A brilliant mixed route of 40m, Charley led superbly and I followed. The clouds were coming in thick and fast so we walked off the summit and headed back up the ridge of doom to the Midi lift. We took a very steep shortcut, probably didn't save us any time but was great training! You know when your heart is beating so hard and fast it makes your head vibrate. Yep. Beer O'Clock after that! Pointing the the Verte, next on the list?! The following day we went up the Cosmiques Arete an absolute classic in the Alps its a 3-4 hour mixed route with the crux of the route being a technical mixed pitch. It was in super fine condition and our 'Team Awesome' tackled it well. Give your team a great name, makes you feel good and therefore climb better! Just before the crux we experienced frustrations when waiting for the group ahead to move off. 2 groups led by mountain guides jumped ahead of us, almost pushing their clients off the route and generally being very French-mountain-guide-does-as-he-pleases, about it all. Threw us off kilter a little but we got it together and all enjoyed the last pitch. It's a fantastic route and was a real milestone in our confidence as budding alpinists especially Charley leading it. This week we had our friend Will visiting us from London. 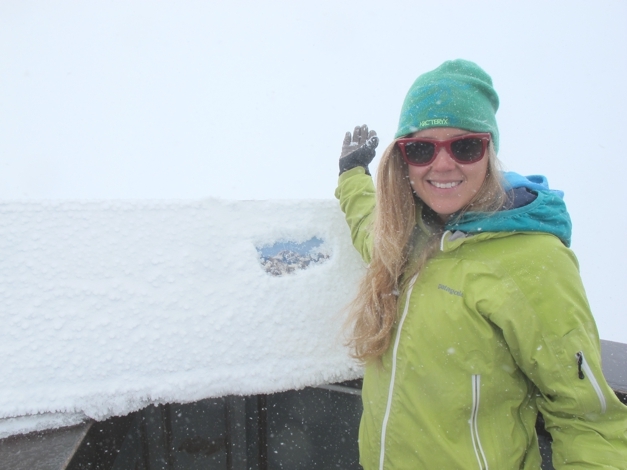 We decided to head up to L'Aiguille Du Tour and stay at the Albert Premier Hut. We spent the afternoon playing cards, drinking wine, making our dinner in the picnic room and feeling slightly jealous of the 3 course dinner all the other climbers were enjoying as we saved our pennies. We headed to bed at 9pm and lay there until we fell asleep. I remember the first few times I stayed in huts - I was so excited I couldn't sleep. Almost like having a puppy, I've never understood how people with puppies can go to sleep? How could you miss a moment of the cuteness! It's the same with the mountains, I feel so excited to be there - how could I close my eyes when I know the beauty that is outside and the adventures awaiting me. Thankfully, I now know better. No sleep = starting your climb on the backfoot, not ideal. We woke at 3am for breakfast, alas it was raining. We ate breakfast for a solid hour until 4am when everyone else started getting up. It was still dark outside when we finally left the hut at 4:20am. For the first hour, the rain stopped but then the clouds moved in and the rain returned. I was sad not to see the alpine dawn rise and change colour over the Aiguille du Chardonnet, my dream mountain to climb but this is all part of being in the mountains. After 2 hours we came to a rocky outcrop which was thought was the summit ridge. Visibility was very low and there was no one else around to ask directions. I shouted up to Charley "I don't remember it being this steep" he replied "It's just because there's more snow than last time, the conditions are different". Half way up we decided to turn round and come back down, the snow felt unstable. Once off the route the weather improved, the sun came out and burnt away the clouds. We looked up and realised we had been on the North Face of a rock route and not the one we wanted, good decision making to retreat! The adventure continues... We found our way to the rock section of the Aiguille Du Tour and screamed up the summit ridge. The weather now felt like we were in Chamonix rather than Scotland. By 11am we were back at the mountain hut, lovely morning, great alpine route.